This is the second installment of a three-part series begun on Sunday, February 25, 2018. Part One appears here. 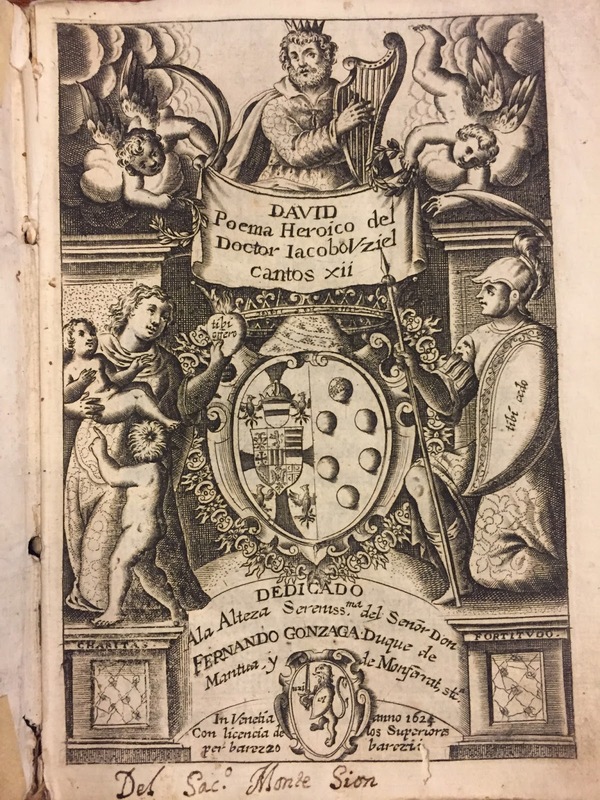 Title page from Jacobo Uziel's David: poema heroico (Venice, 1624), courtesy of the Biblioteca Generale della Custodia di Terra Santa (Franciscan Custody of the Holy Land, Jerusalem). Photo by the author. In a previous post, I suggested that those of us working on Medieval Iberia could be doing more right now to publicly position our field against hate. This second post moves in two parts. Part I: Preliminary comments in response to some of the reactions that my initial post has generated, laying out a case for embracing a shared sense of common purpose. Part II: Thoughts on our particular disciplinary response to the very specific question of Iberian Studies and race in the 21st century United States. (If you have time only to skim this admittedly super long post, please take a look at least at points 1 and 2 at the very end, and especially the call for contributions to Race and Medieval Iberian Studies:A Partial Bibliography). I’d like to start with what I think is an essential clarification. By suggesting in my previous post that we should do more, I absolutely did not intend to imply that some of us aren’t already engaged in public work, nor that the decolonizing of Iberian Studies broadly isn’t something that many of us care about. 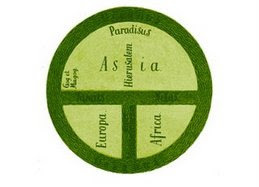 The #HereAreTheIberianists hashtag, courtesy of S.J. Pearce (one of many clearly engaged scholars who I cited with admiration in my last piece), stands as a handsome way to showcase the important work already being done. I think it would be phenomenal if this hashtag could work as a sort of repository of such work, particularly to show the strength of our valuable contributions to a broader audience. As several folks have pointed out, these efforts appear in a variety of media, in a range of languages, and spread across diverse national and local geographies. It’s next to impossible for any one person to keep tabs on all the work, both ‘scholarly’ and ‘public,’ going on in such a range of forums. But I think it would be genuinely beautiful if this hashtag could help us to collectively front this body of work as, precisely, a body of work, evincing the specific strength of Iberianist contributions (writ large) to the broader fight. I would suggest that by exposing such contributions to a wider group of people with allied interests, maybe we can also encourage more dialogue and scholarly interaction across the wide range of disciplinary positions implicated here, both within and outside Iberian or Hispanic Studies. This last argument leads me to a related point. Another set of observations prompted by my initial post revolves, precisely, around how we delimit proper disciplinary spaces. Most acutely: what is proper to ‘Anglo’ scholarship versus ‘Iberian’ scholarship, in what spaces does such work make sense, and, ultimately, what institutions or groups are endowed with the authority to make judgements about such matters? I’ll confess I know really far less than I should about the full range of worlds and experiences implicated in Anglo-centric fields, but regarding Iberia, I would like to make explicit something all of us know very well (and this is not intended to be patronizing to Iberianists, but rather to suggest the complications at play here for those less familiar with our fields): We are not, and never have been, a coherent discipline, but rather a constellation of allied fields that approach Iberia through a range of diverse languages, geographies, identities, and political spaces. (For a quick introduction to some of these issues, check out Jean Dangler’s piece in diacritics). For example, what do the proto-imperial endeavors of Aragón across the Mediterranean in the 14th and 15th Centuries have in common with the Caliphate in 10th and 11th-century Córdoba? What do the Cantigas de Santa María (13th century Marian miracles in gallego-portugués) have in common with Rabbi Shem Tov’s Proverbios morales (14th century sententious moral poetry in Spanish with some manuscripts in Hebrew aljamiado) or with Ausiàs March (15th century, largely secular love poetry in valencià)? What does the Sentencia-Estatuto de Toledo (1449), establishing influential blood purity laws, have to do with the Aristotelian commentaries of Ibn Rushd (aka. Averroes, 12th century)? And what about the very temporality of our respective fields? Not just what but also when is Medieval Iberia? Do we consider the Oran fatwa of 1504 –produced in the wake of the mass forced conversions of Spain’s Muslims, who were looking then to the Maghreb for spiritual guidance after the violent collapse of the Capitulations of Granada– to be ‘medieval’ or ‘early modern’? What do those periodizing labels even mean in such a context? Can we read the early 16th-century morisco el mancebo de Arévolo’s Qur’anic exegesis (written in Spanish using Arabic aljamiado) or the Lead Books of Granada (late 16th century, in Arabic and Latin), without gazing back across the fracturing divide of 1492 that, as Barbara Fuchs has argued, remains lodged at the heart of Hispanism, cleaving it in deeply problematic ways: “a medieval before and a modern after” (496)? 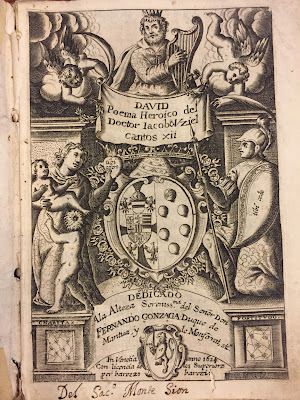 Can we hollow out the ‘medieval’ or the ‘Iberian’ from the experiences embedded in Sephardic exile Jacobo Uziel’s David: poema heroico, published in Italy in 1624, written in the language of a land he could not inhabit? Can we read Las Casas (16th century) without considering his grounding in ‘medieval’ epistemology? And then, what to do about more recent history? Not just the mythologizing of 19th century nationalist philology or Francoist deployments of reconquista and cruzada or Aznar’s comments about 711 but also more contemporary things, like a recent review of Fernández-Morera’s book entitled “Al Andalus: Brown Man’s Lust for White Women” that appeared in the neo-nazi publication the Daily Stormer? I’d like to suggest that Iberian medievalisms such as these, also rooted as they are in a field that is itself so diverse and complex, demand that we push geographies and temporalities to encompass ever wider limits. Rather than close ranks, maybe we can try to imagine a collective convivencia of shared interests. Can we image a space for all of us who are worried about the common goal of decolonizing Iberian Studies writ large–along with other diverse Medieval Studies (writ… however one would like to write, using whatever characters or alphabets one prefers)–to take part in a collective effort grounded not on reclaiming the proper spaces of our respective fields, but rather in fronting what unites us across these borders? I acknowledge that what such work looks like, precisely, will necessarily be field-dependant. I don’t intend to imply that engaged work for Anglo-Saxonists and Iberianists must assume the same forms or be circulated in the same forums. But I do intend to suggest that by embracing shared values and encouraging exchange, and particularly by inviting interested scholars in neighboring fields to be more aware of each other’s work, we all build a stronger common front. This last point also leads me to ask, out loud, if we should also be rethinking not just who we imagine us to be but also who we image them to be. Who are we addressing in our work, both ‘scholarly’ and ‘public’? Who are we going after? Fernández-Morera and his white nationalist fanbase? Yes! Those who continue to ground aberrant ideologies in the narrative of reconquista? Certainly! (And on this, see much of García-Sanjuán’s exemplary work). There is so much going on out in the world right now that we have no shortage of appropriations to resist or misuses to contest. But what if our ideal imagined interlocutors here are not neo-nazis or falangistas but the people in the office next door? The colleagues we see at conferences? The reviewers of the articles we write? Old friends from grad school? In thinking about the traditional rift between theory and philology, presentism and historicist antiquarianism, Castillo and Egginton describe a “’quiet’ consensus” currently pacifying Hispanism that I read as not too dissimilar from the “criminal non-intervention” that Simon Doubleday decries. Without question, many of us are engaged. But many of us also are not, either because we prefer “neutral” critical “objectivity” (which is a fiction) or because we are actively opposed to the very work at hand, reading it as inimical to the field itself, whether for ideological or methodological reasons (and, obviously, ‘methodology’ here runs clean cover for ‘ideology’). I think that such fractures find a particular resonance when we think specifically about race. I truly doubt I’m alone here: I regularly bump into serious scholars, even scholars whose work is rooted explicitly in Critical Race Theory, who tell me that we can’t really talk about race before the Enlightenment because race as a category didn’t exist yet. I have heard people at conferences say that talking about Sub-Saharan African slavery in Iberia is ridiculous, because ‘there were white slaves, too, you know,’ or that ‘those things’ only really happened in Portugal. I have heard folks in the field say forcefully that so much emphasis on inclusivity in the Academy constitutes "anti-white racism." I have heard people insist that the best way to approach racial and ethnic difference in our field is to understand that what we are really dealing with, here, are literary tropes that follow certain formal conventions, behind which there is no real interesting history or human experience that we should worry about locating. I enthusiastically acknowledge that many folks are working on this very problem right now from diverse positions within Medieval Studies, but my point is that, at least from the vantage of Iberian Studies, there is clearly much more that can be done. What I am insisting is that in asking “Dear Fellow Iberianists: Where Are We?,” I am also thinking about these very anonymous subjects I’ve just described. Our colleagues, our friends, our mentors, our students. The we I imagine is not the already-engaged scholar on the frontlines, visibly, publicly combating hate and ignorance. It’s all of us in Hispanic Studies departments who deal or think in or around the fringes of the medieval. And let’s be honest, that’s a lot of people. Many of us are hired into pre-1700 positions. Many of us are hired as Generalists who have to teach everything from Atapuerca and Aztlán to Zapatero. When I imagine we, I’m thinking of all of us. 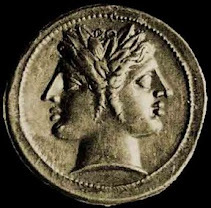 I’m thinking also about my former self, who I will confess enjoyed a long period immersed in the imaginary world of an anti-political philology rooted, unquestionably, in white, male, straight, cis-gendered privilege that made it frankly easy to ignore the pressing urgency of our field in the Now. I’m also thinking about the dissertation advisees of the serious, well-respected scholars who signed the dustjacket publicity blurbs for Fernández-Morera’s book. When I ask where we are, I am talking about the part of we that is all of us. I imagine this to be a huge tent, and I imagine there to be space in that tent for vast hosts. I imagine all of us advocating and educating from whatever positions we might occupy here. And I imagine a spirit of collaboration, inter- and intra-disciplinary communication, openness, and good will to be great assets that can only strengthen our collective efforts. In what follows, I would like to think a little more specifically about the question of race that lies at the heart of the matter here. It would be good to acknowledge, first, some important reasons why our experiences as Iberianists facing the specific question of race in contemporary Medieval Studies, particularly in the United States, might not be equivalent to that of many of our colleagues working in other areas. The essential point of departure here is a simple recognition that the very well-documented fascination of the Alt-Right with the Middle Ages—so central to what is happening in Medieval Studies right now—hangs on a decidedly non-Iberian imaginary. The question for Iberianists from this vantage can easily become: what have we to do with white nationalism in the contemporary U.S.? We know that hate groups especially love the idea of Vikings and runes and Thor’s hammers, Celtic crosses and Celtic music, the Crusades, Gothic blackletter typeface and the fiction of a pure Anglo-Saxon race. This is common knowledge, particularly in the catalyzing wake of Charlottesville. But what of Iberia? Iberia’s complex cultural, ethno-racial, religious, and linguistic past—its hybrid forms and protean border crossings—would seem to render it an uneasy fit in amongst the aforementioned medievalist appropriations. Maybe we just don’t have a big role to play in resisting our appropriation for the purposes of hate because, well, we just aren’t really being appropriated that much. Perhaps the radical alterity of medieval Iberia, its intuitive “midcoloniality” grounded in a “multiculturalism” worn very much on the sleeve, is just not a natural fit. (See Nadia Altschul’s “The future of postcolonialapproaches to medieval Iberian Studies”). Despite such legitimate points, I would urge us to recognize something frontally: the same ideologies that weaponize The Myth of the Andalusian Paradise are, despite it all, definitely at work co-opting a variety of Iberian subjects that many of us work on. It does not take much effort at all to dredge up traces of admiration for Spain’s expulsions of Jews (1492) and moriscos (1609-1614) scattered around on sites like Stormfront and /4chan. (I refuse to link to such places). And the Alt-Right appears at least intrigued with the narrative of reconquista (for example, one Stormfront user asks: “Is there any good documentary about the Reconquista? I doubt it since it's something the jews and libtards [sic] wouldn't like to make”). I have also encountered in several places an absolutely fascinating and completely bizarre-o deployment of reconquista as a way to imagine a perceived re-Mexicanization and browning of the American Southwest. And such folks are, of course, foreseeably also big fans of the foundational mission of the Holy Office (one /pol/ user suggests that the Grand Inquisitor Torquemada is “/ourguy/”). Sánchez-Albornoz even shows up once in a while—although mostly in monolingual Spanish threads—probably thanks to the ideological utility of Sánchez-Albornoz’s homo Hispanus, that transhistorical (white) Catholic Roman-Visigothic essence at the heart of authentic Spanishness. In short, it would be disingenuous to suggest that our field, unlike Anglo-Saxon studies or Crusade studies (to mention just two intuitive examples), is somehow immune to such appropriations. Nevertheless, I admit that we would be left wanting if we were to go hunting for tattoos of Santiago Matamoros or Torquemada or Don Claudio at places like Charlottesville’s Alt-Right rally. Tellingly, unlike terms such as “Celtic” and “Norse,” a search for the terms “Iberia” and “Spain” in the Southern Poverty Law Center’s substantive Hate on Display Hate SymbolsDatabase yields no results. And it’s not too hard to venture some educated guesses as to why. We might argue, for example, that the dearth of such public appropriations of Iberian symbols, tropes, and slogans is due to popular ignorance of Iberian history in the United States. Or, more suggestively, perhaps we might even fault the strategic racializing of Spain that George Marsical years ago associated with the uses of the Black Legend in the 19th-Century U.S. Maybe Spain is just too Other, too barbarian, too suspiciously brown, too much a sort of imaginary almost-Mexico to be useful for the Alt-Right. (See also several of the contributions in Rereading the Black Legend and Eric Griffin’s “From Ethos to Ethnos: Hispanizing the‘Spaniard’ in the Old World and the New”). And then there are those pesky demographics. There are so many Iberian Muslims and Jews and people of color that maybe even triumphalist Catholic ethno-nationalism starts to look suspect. So while diverse medievalisms obviously lie at the core of Spanish nationalism (see this, courtesy again of S.J. Pearce), perhaps we can agree that Iberia doesn’t enjoy the same cache as other medievalist subjects among North American white supremacists. Such a situation might even be cause for rejoicing, if it weren’t for the fact that our field is, nevertheless, expressly deployed to support abject ideologies of hate in the US, even if to a far lesser degree. Allow me to acknowledge, also, that the ultimate measure of our engagement as scholars should not be whether or not we are embraced by neo-nazis. The more important question remains: given the contours of our field(s), especially for those of us in the US, what specific role do we play in the broader disciplinary counter-crusade being waged across Medieval Studies to resist right-wing narratives built on the masculinist fictions of homogenous European cultural Catholic whiteness? And going back to my points earlier about rethinking who the us is here: what, similarly, are we doing to combat the more benign but no less problematic positions of those among our own ranks who deny that race is even a question we can or should think about? Such race deniers are, I’m afraid, legion in Hispanism. How do we fight them? I would like to underscore what I’m sure many of us already know: the question of race and the Middle Ages is in fact an exceptionally relevant question in particular for Iberianists to confront since race, especially when conceived of as a question of blood and blood purity, heredity and the body—and not just as an allegedly pre-Modern non-scientific frame for processing purely cultural or religious differences—is integral to the very invention of the Spanish nation itself. These are concerns lodged at the heart of our field. (Check out this and this and this and this and this and this and this and Altschul’s comments here, and maybe some of Heng’s comments here). And need we even mention that Iberia’s racial epistemologies –rooted deep in Classical and Medieval thought– served to justify practices of forced labor and slavery long before the triangle trade was even a glimmer in Britain’s eye? (See this and this. James Sweet’s comments here remain relevant, as well, although some of his points could be qualified). Given the unique place Iberia occupies as a key motor in the historical development of modern racializations, couldn’t we play a more protagonistic role in contemporary discussions about race both in Medieval Studies and in the sphere of medievalist appropriations? Shouldn’t we be all over the partial bibliography on race and Medieval Studies recently published in postmedieval? We have many things to say here, and I think that we’re saying many of those things already, through publications and in our classrooms and in our conference papers and in our blog posts. But can we find ways to say those things in even more concerted, collectivized, loud ways? 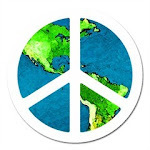 And, most especially, in ways that will invite greater collaboration across our diverse fields? Ways that will invite folks across the Anglo-Iberian divide to talk to each other more? Ways that will make it harder for the in-house race deniers to insist on the fictions they love? Ways that will facilitate the use of our work for all of the allies that sit under the big tent that I earlier envisioned? I would like to close with two calls for specific action, related to all of the preceding. 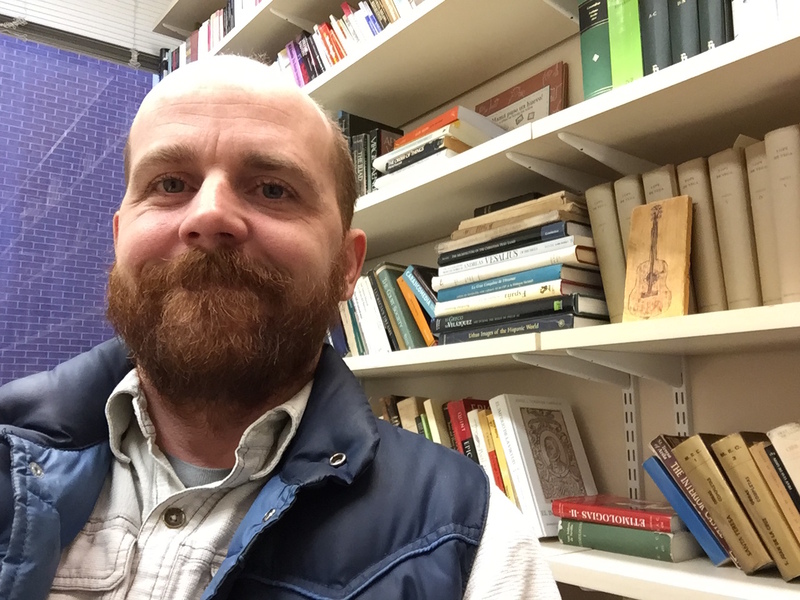 If you know of, or are personally engaged and working on, relevant stuff that you feel would benefit from reaching a broader audience—even if, perhaps especially if, that work is published in other languages or geographies—please consider S.J. Pearce’s hashtag #HereAreThe Iberianists. By putting this diverse work together all in one place, we render it more visible and we also invite the cross-germination of ideas that might arise from seeing things we were unaware of, written from disciplinary positions distinct from our own. This could be just one small gesture in the direction of even more collective action, a more common front, a bigger tent. In a related gesture of brazen and absolutely admiring imitatio, I have created a Google doc to start work on our own version of Jonathan Hsy and Julie Orlemanski’s labor facilitating the construction of a critical bibliography on race and medieval studies. Here it is: Race and Medieval Iberian Studies:A Partial Bibliography. Allow me to note that, as I envision this document, there should be space here not just for rigorously historicized ideations of race drawn from the long and diverse Iberian Middle Ages but also for later medievalist appropriations of race rooted in those same histories. Medieval race as seen from Early Modern Spain; Medieval race as imagined by 19th-century nationalist philology; Medieval race as imagined by Franco; Medieval race as imagined by white supremacists in the contemporary US. It goes without saying that this should also be a space for showcasing work in the full range of diverse languages, geographies, and identities implied in all of our related fields. And it should be a space to privilege the work of POC / ethnic / religious minority scholars, in particular. Both of these requests are extended not as disciplinary challenges to make more noise nor as criticisms of those already deeply engaged in this work. I offer them simply as ways for us to potentially make more audible the substantial noise already being made. But also—not just for the sake of symmetry but because there is, in fact, more to be done—Dear Fellow Iberianists: can we make some (more) noise?